Looking for an Austin gift for someone moving to Austin? What about a present for some who lived in Austin and is homesick for their home town? 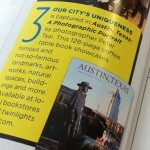 If you fall into any of these categories, check out Austin, Texas: A Photographic Portrait! Also, check out these latest great reviews – currently the book has 5 of 5 stars on Amazon.com. Austin just passed San Francisco as the 13th Largest city in the US. Between 2010 and 2011, Austin was the 3rd fastest growing city in America, growing from a population of 790,390 residents to 820,611 people living in Austin city proper. The whole state is taking on new residents quickly, as Texas claimed 8 of the top 15 fastest growing cities in the nation during the same time period. Austin grew 3.8 percent, while neighboring Round Rock grew 4.8 percent. Those impressive growth rates make Austin the number 3 and Round Rock the number 2 fastest growing cities in the country. This growth comes as no surprise, as studies in years past have shown Austin to be a premier destination for young people and magazines and news agencies have named Austin in too many superlative lists to count. The change is easy to see in everyday life in Austin. Just drive down any major street near downtown and the new high rise development will tell you that the growth isn’t anywhere close to being over. Also, anyone living in Austin knows that rents in Austin are going up due to the influx of new residents. With a strong Austin jobs outlook for the foreseeable future, we can expect similar high growth rates in future census reports. A little more than two months after the book launch, things are going great thanks to great support from the Austin community (and kitties too). To show our appreciation, this post serves as a BIG THANK YOU to everyone that has supported Austin, Texas: A Photographic Portrait. We’ve gotten tons of great feedback in person, on Facebook, and on Twitter! The Testimonials page on the blog shares a sampling of the positive feedback we’ve received. We’d like to thank all the individuals who have wished us well! We’ve also been recognized in several publications and blogs on the Internet. Please consider checking out the publications and blogs mentioned below. Austin Monthly Magazine – This long running Austin magazine needs little introduction. 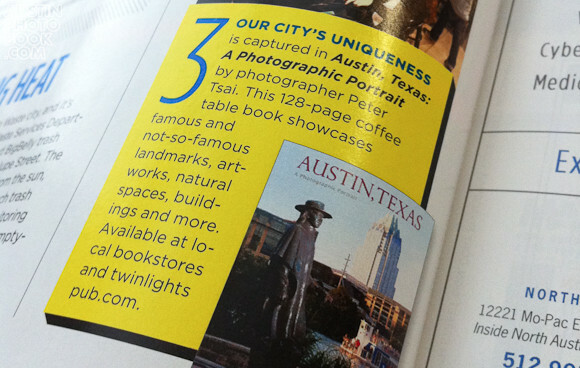 In the July 2011 edition, Austin, Texas: A Photographic Portrait was featured in the July Hot List of things to watch (excerpt pictured above). The Rebeccamendations – Local blogger extraordinaire Rebecca Otis interviewed Peter Tsai, the photographer of Austin, Texas: A Photographic Portrait, on her entertaining blog. They talked about the ins and outs of creating and publishing the book as well as behind the scenes insights about the pictures in the book. I Live Here: Austin – Annie Lenore’s blog explores the lives of individuals living in Austin, Texas and serves as a platform for them to share what Austin means to them. 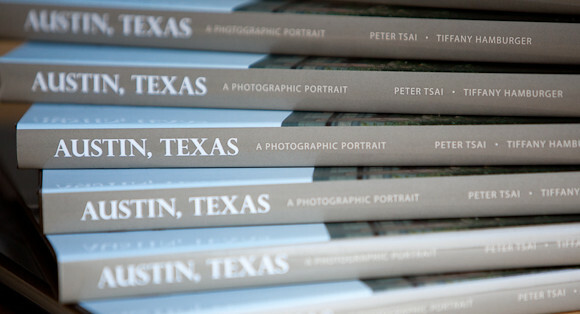 Annie photographed Peter and featured his Austin essay on in which he mentions the book several times. N Housing Blog: Austin Corporate Housing – The N Housing blog highlights noteworthy events and attractions in the Austin metropolitan area for newcomers to the city looking for fun things to do. They suggested using the book as a “reference point for things to see & do” in Austin. Austin Urban Gide – Austin Real Estate Agent Catherine Thomas, who loves Austin as much as anyone, has been a very vocal supporter of the book from the beginning. She specializes in downtown condos, writes her own Austin blog, is active on Twitter, and says that real estate clients love the book as an introduction to Austin. 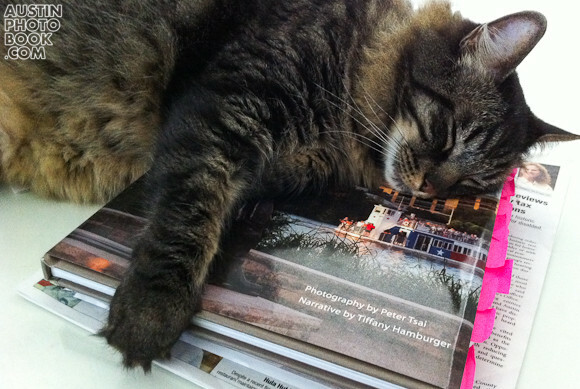 Thanks again to all – we love that everyone has been super supportive of the book. As always, please leave a comment and if you would like to purchase the Austin, Texas Photo book for yourself, go to our Where To Buy page. 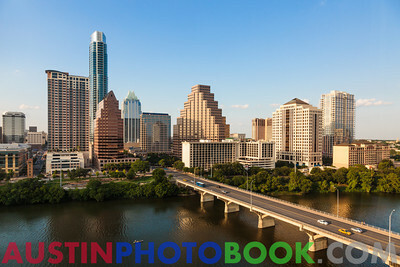 Austin, Texas: A Photographic Portrait – Book now on Sale! 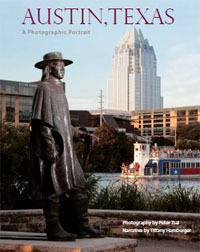 Two years in the making, the Austin photography book entitled “Austin, Texas: A Photographic Portrait” is on sale now! While you can read about this 128 page, hardback Austin coffee table book on the About page on this blog, we all know a picture is worth a thousand words. So, I put together this hands-on video that gives a better feel for what you can expect from the book. As the video shows, the book is packed full of colorful photos and insightful captions for over 100 landmarks around Austin. 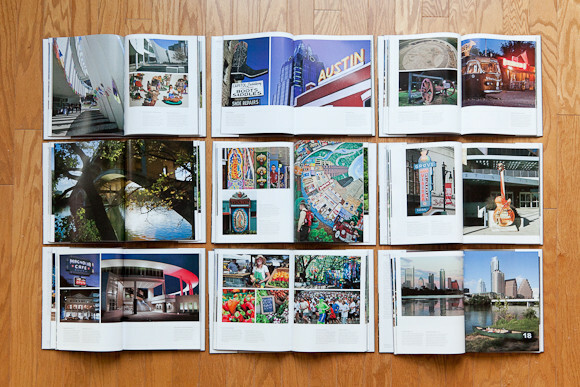 Whether you are new to Austin or have lived here your entire life, there’s something for you in its pages. As I mentioned in the video, you can buy the book online at BarnesAndNoble.com and Amazon.com . We Austinites all like to “Keep Austin Weird” as well – BookPeople has the book but it’s not in their computer system yet. When you go into the store, you will have to search the Texana/Texas History section manually. When I went in, it was on the far shelf, next to the Texas Nature section next to “Trillin on Texas”. If you head to Barnes and Noble, my book will be in the Texas section (although it’s cheaper to buy online at BarnesAndNoble.com). If you represent a hotel or corporation that wants to buy at least 5 books, please use the following form to inquire about a bulk order discount. You can also order individual prints or licence photos from the book at on the photo prints page. In closing, I would like to thank you to all of the Austinites around town that helped in the making this book about our awesome city! I could not have finished this multi-year project without you. To stay in touch, please subscribe to this blog for more cool info about Austin and possibly future events related to the book. You can also find me on Twitter @AustinPhotoBook and @supertsai. Tell all of your friends! Thanks a million!